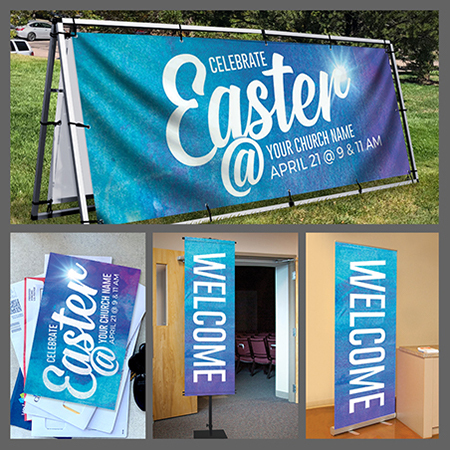 These six Easter suites provide your church with seasonal tools to ATTRACT more visitors and WELCOME and INSPIRE everyone who enters your church this season. 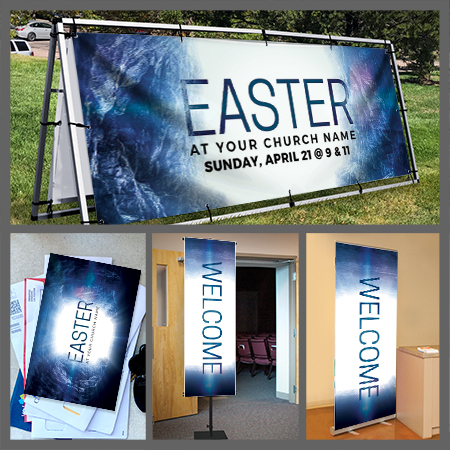 Each of the suites includes a custom postcard invitation, custom outdoor banner, a welcome indoor banner and an inspirational interior banner. 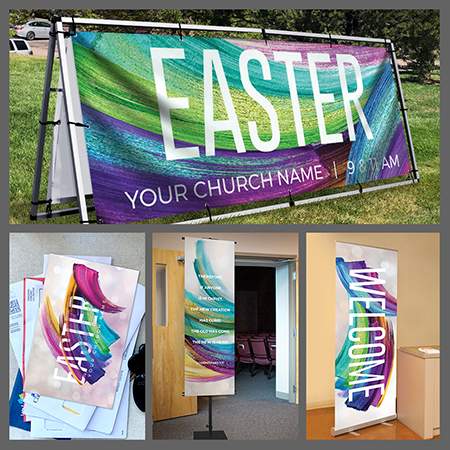 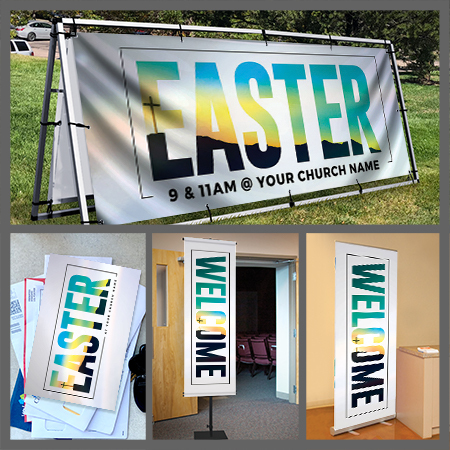 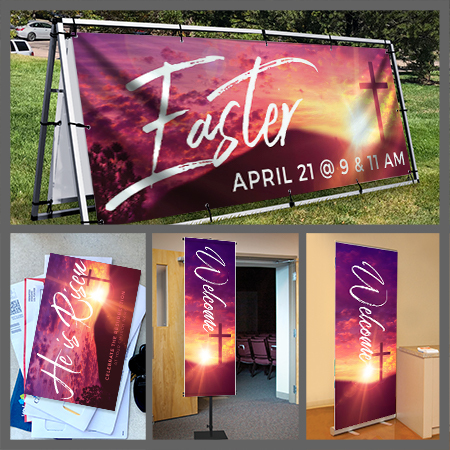 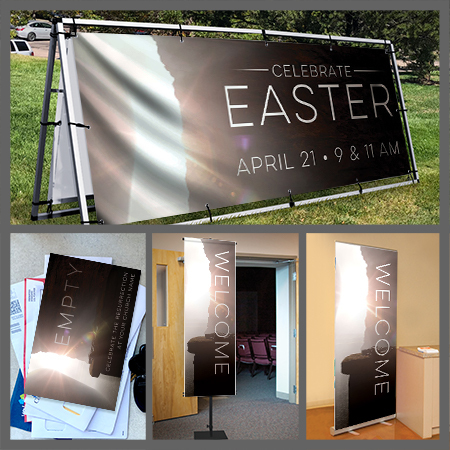 ATTRACT visitors with a custom postcard invitation and outdoor banner - WELCOME your community with friendly, vibrant banners in our most popular sizes - INSPIRE everyone with compelling Scripture banners.